It’s absolutely possible to eat Paleo with nothing but the food you get at a normal grocery store. There’s no need to go hauling yourself all over town to four different stores every week. But what if you do want to make an excursion to some place other than a regular grocery? Here’s a guide to the best things to buy at bulk stores, ethnic stores, and health food or specialty stores. They might not completely replace a standard grocery, but they can add some excitement to your routine and save you quite a bit of money. Why you would shop there: you have a big family and need large quantities of food, or you have a small family and a spare freezer and want to stock up so you can get bulk prices. These stores are particularly good for anything that’s shelf-stable or frozen – basically things you can stock up on. The best deal is probably meat – meat is such a huge percent of the Paleo grocery budget that any money you save here will have a big impact on the overall bill. The bulk meat you find at these stores will not be the same quality that you would get from a farmer. If it’s financially possible for you, buying a portion of a cow from a farmer is a much better way to get truly grass-fed meat in bulk. But even with the bulk prices, not everyone can afford to get meat directly from a farmer, so if you’re going to get grocery-store quality meat anyway, you might as well get a discount on it. Big packages of meat and fish. You can get 5 or 10 lbs of frozen chicken breasts or drumsticks at once, save a lot per pound, and just keep them until you want to eat them. Even if you get fresh meat, some stores sell fresh meat in packages that can go straight in the freezer without getting freezer burn (it’ll be labeled). Alternately, if you have time to cook it in bulk, you can just cook it all and freeze the cooked recipe for later. Bulk eggs. You know how buying eggs by the dozen is cheaper per egg than buying them in packs of 6? Well, buying them 2 dozen at a time is even better! Canned tomatoes or tomato paste. Canned tomatoes are one of the few canned vegetables that are actually tasty to eat; they’re great in soup, stew, chili, or sauce. And the cans keep forever, so even for just one person they’ll last. Canned fish. Like the tomatoes, it’ll keep forever. Frozen fruit and vegetables. Frozen produce is just as nutritious as fresh (sometimes more, since it’s picked at the peak of freshness) and lasts almost indefinitely. Cooking fat: do you plow through coconut oil like nobody’s business? Get it in a tub bigger than your head and enjoy your savings. For olive oil, just remember to find a good brand to avoid food fraud. Vinegar: if you go through a lot of balsamic or apple cider vinegar, grab an enormous bottle. 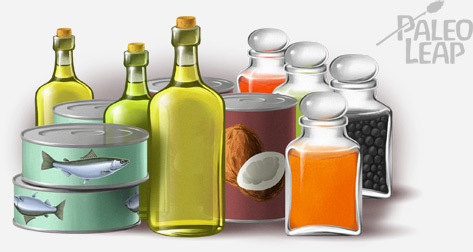 Pantry items like honey, maple syrup, fresh nuts, nut butters, and dried fruit. Should I Get a Chest Freezer? To go with their bulk store purchases, a lot of frugal foodies embrace chest freezers – buy an extra freezer and stick it in the garage, and you can bring home 50 pounds of frozen chicken breast instead of just 10! On the plus side, it saves you gas money driving to and from the store and time shopping, and it lets even single people take advantage of bulk discounts. On the other hand, the freezers themselves are expensive, and the electricity isn’t free. Here’s a very rough estimate of freezer costs for different sizes of freezer. If the freezer saves you more per month than it costs, you’re coming out ahead. *This is based on a rough guesstimate of 1.5 cubic feet per person, which is a good ballpark. Adjust up or down if your family eats more or less than average. Why would you shop there: you’re feeling bored with the recipes you know and want to branch out; you like adventure; you go through a lot of spices and want to save some money on them. Spices! Spices at ethnic stores are almost always cheaper than anything you get in a typical grocery, and they’re fresher, too. So you pay less for a better product: what’s not to like?. Ethnic produce. Check out different kinds of cooking greens, fruits, starchy root vegetables, and other specialty produce. If you don’t know what it is and can’t find anyone to ask, try taking it home and doing a reverse image search or just searching for “[name of ethnicity] vegetables [color] [size]”. “Normal” produce. “Normal” is obviously relative (hence the scare quotes), but here it’s referring to things you could also find in the grocery store. Often you can get the same thing cheaper at ethnic markets. Organ meats and “odd bits.” America might have decided that chicken feet are “gross,” but China begs to differ! Asian stores of all kinds are particularly good for getting your odd bit fix. Why would you shop here: you’re looking for some of the less-common Paleo ingredients, you like looking at all the weird stuff they stock, you’re there anyway for supplements or something else. 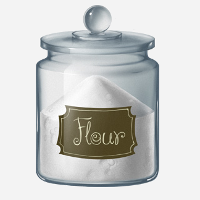 Specialty flours. Most standard grocery stores now carry almond and coconut flour, but what if you want to experiment with arrowroot starch? Plantain flour? You’ll probably find it here. Coconut aminos (if you can’t find them at your regular grocery store). Coconut aminos are a Paleo-friendly substitute for soy sauce. Sea vegetables. They’re tasty and healthy – try a couple pieces of kombu added to your bone broth and see! Probiotic supplements. You’re much more likely to find a high-quality, correctly stored probiotic supplement in a specialty store. It should be refrigerated in an opaque container. Just one word of warning about these stores, though: don’t buy grocery staples here. They’re really expensive. Do most of your shopping somewhere more affordable, and then stop by a specialty store to look around at all the crazy maca powder/chia seed stuff and buy one or two extras. Just as a last reminder: you don’t need to shop at any of these types of stores to eat Paleo. You can do it at any grocery store. But if you have time and energy to explore, sometimes it’s interesting, cheaper, or just more fun to branch out – it’s just like a bonus to try and see if you like it.